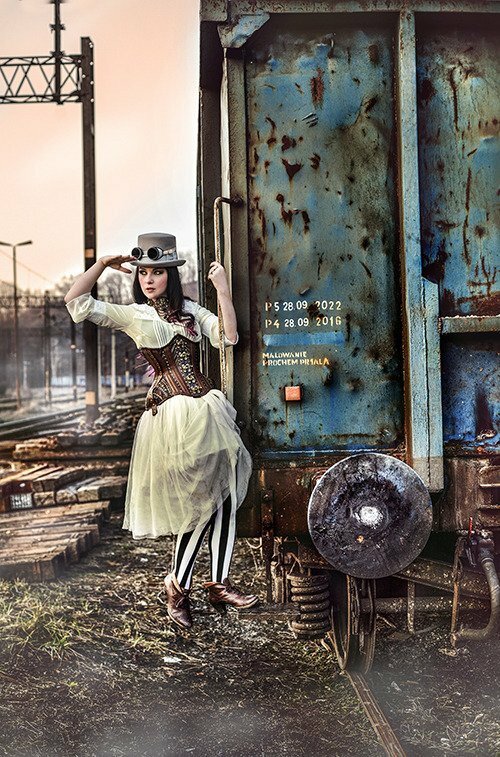 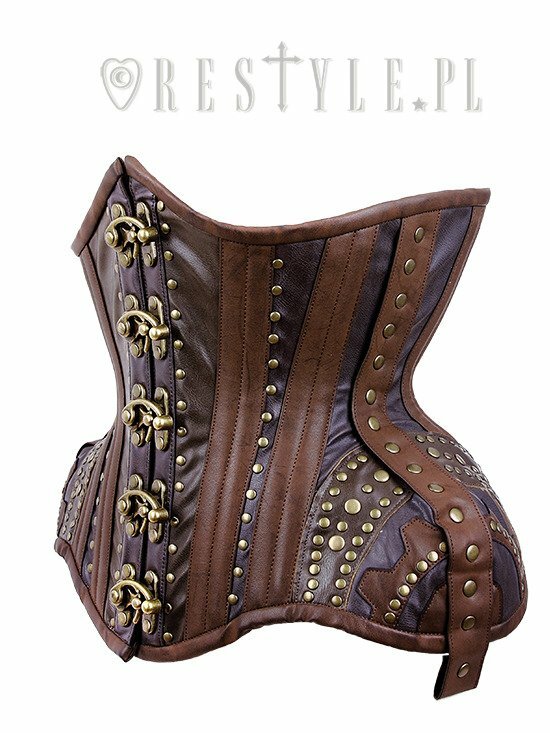 Steampunk corset with gears, swing hooks, hourhglass "WH7 USteampunk Gears Underbust"
Restyle corset in WH (wide hips) shape with extra room for hips and big compression on waist which gives dramatic curve to any figure. 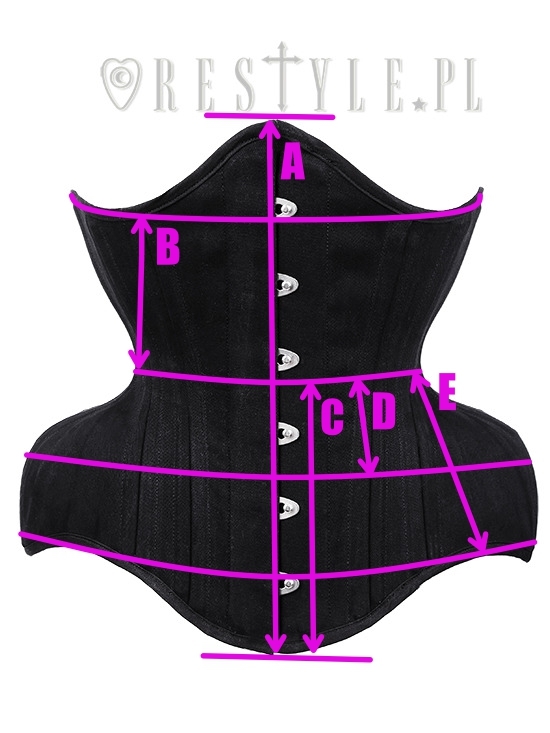 This prevents the pressure on the hip bones and creates amazing hourglass shape corset. 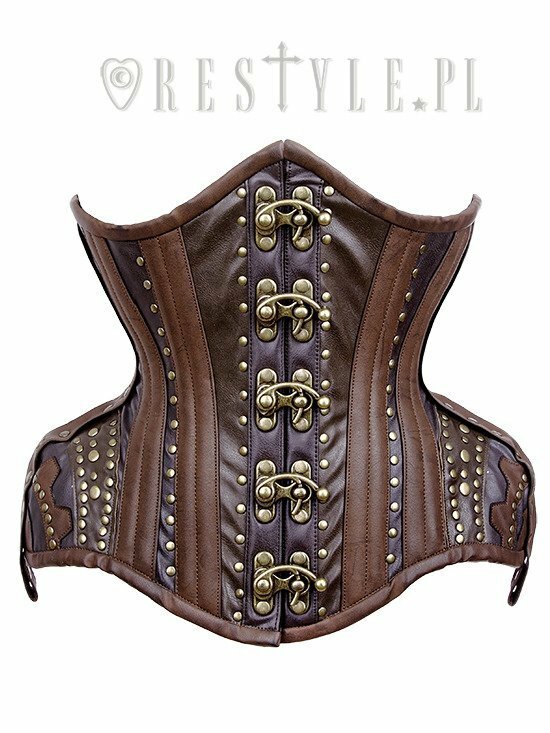 Fashion fabric made of strong vegan leather in three shades of brown with old texture. 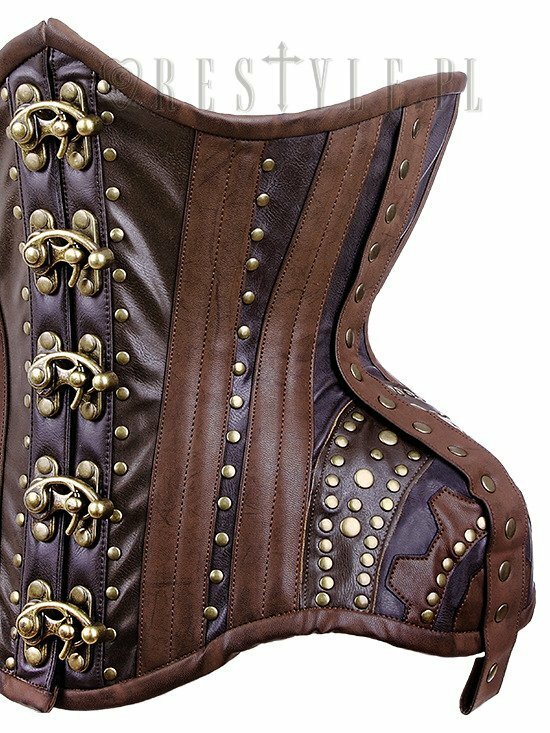 On front there are flat bones with five, decorative swing hooks locks. 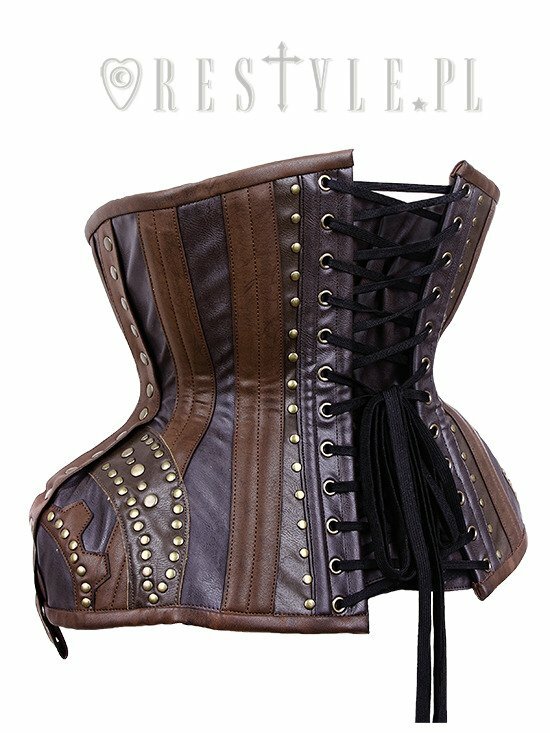 This beautiful underbust is entirely decorated with metal rivets. 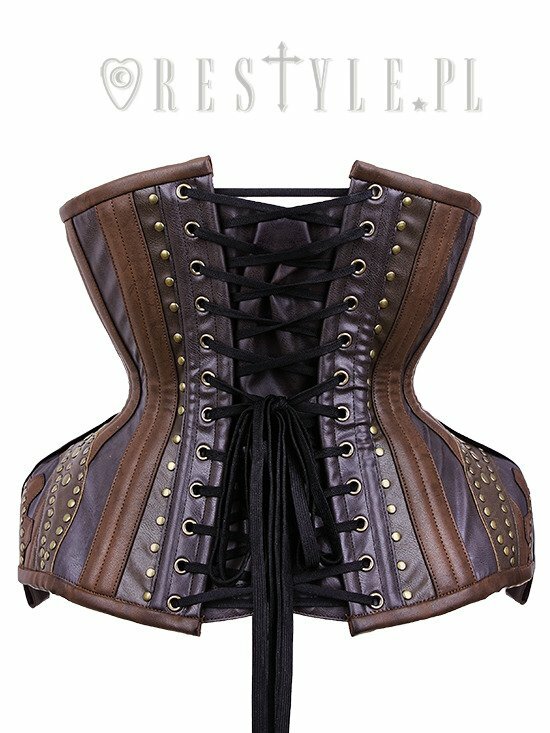 On the hips are they are additional adornements in shape of steampunk gears and studded straps. 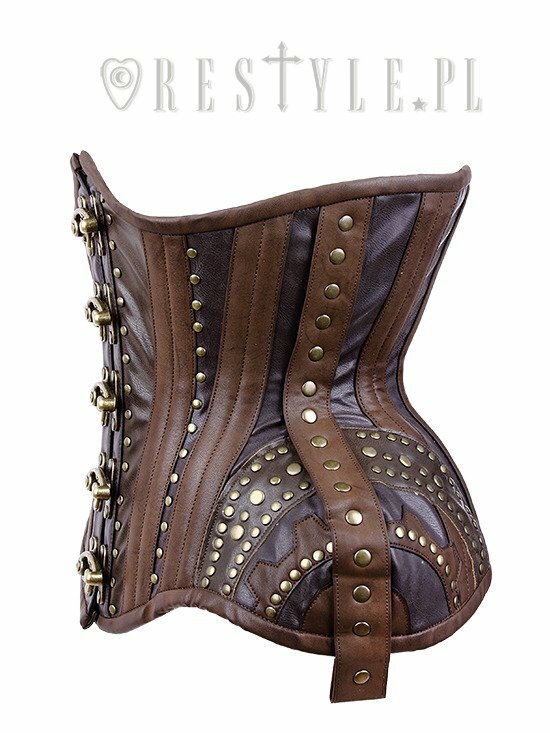 If your hips are rather slim, we suggest to choose one size down than you usually wear.